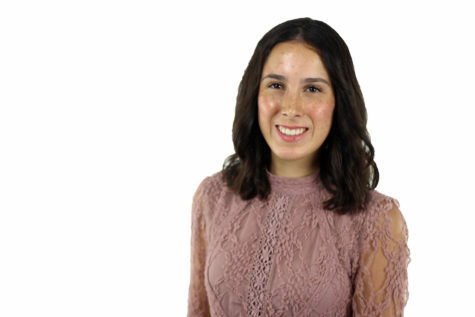 Senior Hannah Ortega’s love for journalism has blossomed from a curious seed, which was planted when she joined the class in the seventh grade, into a fiery passion. She loves to share untold stories of extraordinary people with the community, and she is so excited and honored to serve as editor-in-chief this year. Hannah enjoys writing not only journalistically, but creatively, and it is her dream to become a published author. When Hannah is not writing, she is running cross country or horseback riding. Hannah is also a nerd who is always more than happy to discuss all things Star Wars, Marvel, and Disney. In fact, she’s such a huge nerd that she writes for Rotoscopers.com, an animation news website. Hannah’s favorite place is Disney World, and she wishes to travel the beautiful planet created by her Lord and Savior Jesus Christ. She strives to share Christ’s love and hope with everyone she meets. Hannah plans to double major in English and journalism, and she can’t wait to make her senior year the best it can be.